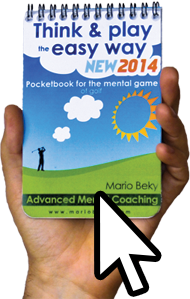 MARIOBEKY.COM offers products that help people achieve better results in sport and learning. Creator of this program is Mario Beky. Along with him works a team of performance professionals from around the World. Here you can find current members of this team. What is Advanced Mental Coaching? World’s first customized self-coaching system. Who are our usual clients of MARIOBEKY.COM? Our clients are students, teachers, amateur players, professional players, business men, housewives, national champions, every day players, etc. To be precise, everyone can be our client. Because everyone can have the desire to achieve better results whether it is in sport or in learning. What types of products offers MARIOBEKY.COM? We offer pocket guides, learning organizers, mobile apps, eBooks, manuals and supporting academies. Can I customize the products or services from MARIOBEKY.COM? Yes. Anyone can customize our products for own age, own expectations and own abilities. Where can I buy products from MARIOBEKY.COM? Most of all products you can buy directly via this website. In the TOP menu you’ll find a link to the shop with all our products. Products like mobile apps or kindle formats are available via direct link. It’s the light blue button next to the product, eg. Buy product. Do I get any guarantee when getting product or service from MARIOBEKY.COM? Yes. Some of our products or even services offer this possibility. We call it Improvement Money Back Guarantee because it ensures your improvement. Please read the details on the product page. What types of products does MARIOBEKY.COM offers for sport? We offer pocket guides, mobile apps, eBooks, kindle books and also mental game academies for people who like to increase their chance to win in sports. What types of products does MARIOBEKY.COM offers for learning? We offer pocket guides, learning organizers and mobile apps for motivation. Does MARIOBEKY.COM have free products? Yes. We offer free mobile apps, we provide free seminars for schools and also we give free manuals for school counselors. How can I become a Brand Ambassador for MARIOBEKY.COM? You either write us an email to mail@mariobeky.com or call us at +421 907 503 149 for more info. Details from your personal or business portfolio are important to us therefore it’s always better when our goals meet in major questions. We look for young and energetic people with strong social presence and good skills or pro experience in sport industry or education. How can I become a Partner of MARIOBEKY.COM? You either write us an email to mail@mariobeky.com or call us at +421 907 503 149 for more info. We look for details from your business portfolio therefore it’s always better when our goals meet in major questions. In addition to that you need to send us your official business info so we can re-check them. Does MARIOBEKY.COM support special groups like US Military, handicapped players or unprivileged students? Yes we do support all of these groups and more. Detailed info is to be found in the TOP menu on this website. If you think that people from group you work with can be among these groups, please contact us via mail@mariobeky.com. We are sure that we can find a way to create a new set of options that are custom made for a group with distinctions. Do you want learn more? If you want to add question to FAQ section, please do so via email contact in “CONTACT” section.